The world of seven hundred billion (SHB) people is full of Haters. People who always look for the problem, for this issues, for the mistakes of others so as to make themselves feel better about their own short comings. It saddens me that the Internet, a tool of collaboration and communication, is used by the sickened to spread their hate and misery. They troll around on forums and comment sections and spout their condemnation to others who try to create with their hands, hearts and minds. Are you a hater or a appreciator? Do you look for the good in what your fellow men do or do you simply want people to fail? You know, as years go by, mamma’s words make more and more sense! As I’ve written previously here I’ve been working with Lucas McCain, an Atlanta band, for the last three years or so. Since I’ve been doing my time with the band I’ve really come to appreciate the difficulty of trying to become successful in the music business. 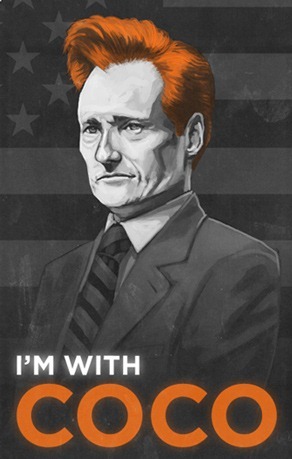 But since I have a vested interest in the music business I decided that I would stand up and support music that I enjoy. I know first hand how hard it is to struggle trying to sell a CD. Last year I started watching American Idol and really enjoyed Chris Daughtery and the eventual winner Taylor Hicks. So I decided to go out and pick up both of their CDs. While browsing Amazon I came across a real oldie for me in the band Toad the Wet Sprocket. I picked up their greatest hits CD. All four CDs are filled with really enjoyable music. I encourage each of you to support the artists you enjoy because they are spending a lot of time and effort to bring you a product that you can enjoy for the rest of your life! Sometime our journey through life brings you into situations that you would never have dreamed of. One day a co-worker friend introduced me to another co-worker who was in a band. Wayne and I started talking about our mutual interest in photography, videography and music. He suggested that I should come out and take some video and pictures of the band. Over the past two and a half years I’ve slowly become a part of the band. I’ve been fortunate enough to help write lyrics on several of the songs on the just released New Horizon CD. I see myself as the silent band member in the background who helps the band become more successful by taking care of the business issues so the band can concentrate on doing what they do best — playing great music. 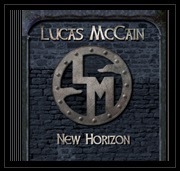 On Saturday we released Lucas McCain’s first CD titled New Horizon. The CD is a collection of Rock, Southern-Rock and a pinch of Country. Every time I listen to each song I can remember our writing sessions and the thrill of bringing a new song together. Working with the band has reinforced my belief that PASSION for your work makes your work results better. When you love doing something, you are going to enjoy the journey much more than when you look at it as just a J-O-B. In celebration of releasing the CD and to get the word out, we are offering a cut off the CD as an MP3 to all our friends and hopefully thousands of new friends. Home on Their Mind is a warm, moving tribute to all service men and women who have put on the uniform in defense of our country and the freedoms we all enjoy. I’m placing a link to the MP3 (click this LINK) so you can download and enjoy the music as much as we enjoy it. Please share this with your friends and family. If you like the music and want to support us, please go to our website and purchase the CD. Our website is www.lucasmccain.com.